Which Social Media Network is Your Business on? 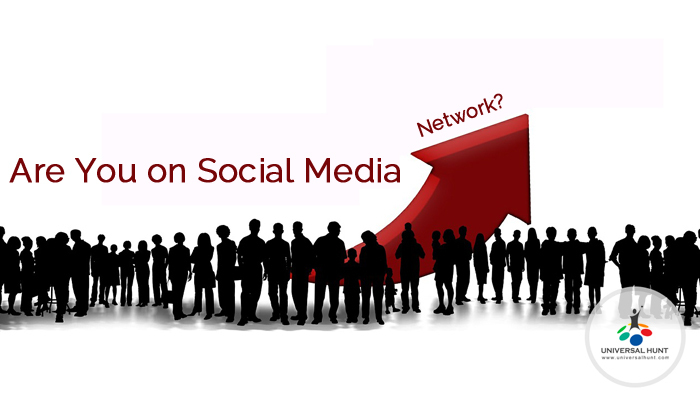 Are you interested in using social media network to promote your business? If yes, great! But do you know which social media network will be most effective in your niche marketing campaigns? Just like many entrepreneurs, if you too are skeptical about how social media network is going to help your business in successfully meeting your goals, then it’s worth taking a quick read about the functionalities and the massive population of these social media networking sites. Universalhunt.com is one of the leading global professional networking and career portals with over a million members. Professionals and businesses use Universalhunt.com to find jobs and create connections with prospects and their clients, which opens up a channel of communication; both public and private. Facebook is one of the most used social media networks with over a billion members. Businesses can create the Facebook page to promote their services or products, which provides a valuable platform for boosting brand awareness and global exposure. Twitter is one of the most dynamic platforms with over 300 million members. Usually, members send Tweets, a message with 140 character limit which can be seen by any member on the platform. If your client with a lot of followers shares about a positive experience with your business, then there are more chances that it will be seen by a good percentage of their audience and therefore, word of mouth can spread digitally. Google+ (G+) is a platform which allows users to connect openly with each other by circling users, just an another term for segmenting contacts into groups. Google+ allows users to use any reviews that which were posted on their G+ page and see many stars that their customers rated them. This can help businesses gain global exposure and reputation. Since ratings and reviews are a big parameter in deciding whether or not purchase a product/service from a business. Individuals watch YouTube for a number of reasons, it could be for entertainment or for business purposes. Advertisements have been introduced on YouTube videos in various types of formats. Businesses have an option of purchasing display ads on the site, or overlay ads that appear on the lower side of the video. Engage, socialize, and post regularly across a variety of social media networking sites in order to boost your lead generation and brand awareness opportunities. It may take a lot of time and hard work to learn how to execute social media marketing, but whatever you do online will eventually affect how your business does offline. According to you, which social media platform is most effective for your business?